Several endocrine therapies are available for postmenopausal women with hormone receptor-positive (HR +) advanced breast cancer (ABC). 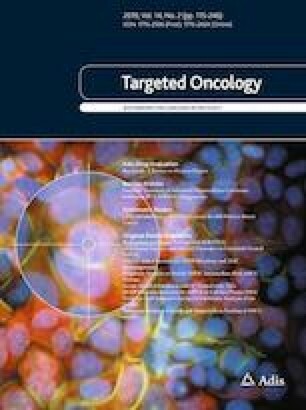 Given the absence of direct comparisons between fulvestrant and cyclin-dependent kinase 4/6 inhibitors (CDK4/6is) in combination with aromatase inhibitors (AIs), which are both used as standard first-line treatments for ABC, an indirect comparison using a network meta-analysis may be advantageous for decision making. We performed a network meta-analysis to compare the efficacies of fulvestrant and CDK4/6is plus AIs as the first-line treatment of postmenopausal breast cancer patients. In order to compare these treatments, we searched the PubMed, Cochrane Library, and EMBASE databases for randomized controlled trials of first-line endocrine treatment for advanced or metastatic breast cancer until October 2018. We included a total of 11 eligible trials with 5448 patients. The hazard ratios (HRs) for the efficacies of the different treatments were used as inputs in the network meta-analysis. In the overall analysis, CDK4/6is plus AIs, including palbociclib plus letrozole, ribociclib plus letrozole, and abemaciclib plus nonsteroidal AI (letrozole or anastrozole), are all superior to 500 mg fulvestrant (HR = 0.50, 95% confidence interval [CI] 0.37–0.68; HR = 0.50, 95% CI 0.35–0.71; and HR = 0.49, 95% CI 0.34–0.71; respectively). Within the limitations of this network meta-analysis, the comparison indicates that CDK4/6is plus AIs might represent a better option for HR+ ABC as a first-line endocrine treatment compared with fulvestrant. The authors would like to thank all working group members for their contribution to this study and express their heartfelt gratitude to their mentor and research team. Qianqian Guo, Xiaojie Lin, Lingling Ye, Rui Xu, Yan Dai1, Yuzhu Zhang, and Qianjun Chen declare that they have no conflicts of interest that might be relevant to the contents of this manuscript.